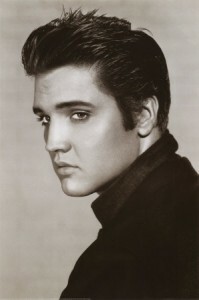 Anyone who has attended my training or seminars knows that I have a bit of a thing about Elvis Presley. In fact, it might be fair to say that I am something of an ardent fan and am still in recovery from the fact that Elvis died three days into my Honeymoon! When I’m training or delivering my seminars, I play a game with myself and try to mention him at least once (yes, I know it’s a bit weird but bear with me and read on. Most of the time I am completely normal….ish). So I was thrilled to come across this quote which gives me, a coach and personal development specialist, an excellent and legitimate reason to mention him in a post. Are you clear about your values in life? Whether you are conscious of them or not, they have an impact on what you choose to do, and what you choose not to do. If you are in a role or a relationship that doesn’t sit well with your value base you will never feel right. So, take some time now to think about the fingerprints you leave behind. What are your values? Something else I never learned about you before, Jane! You are so right about values and how they fit in with life choices. When people get out of balance with their values, it can really affect their success at work.